My last trip up to the Sequoia National Park was an exuberant experience filled with hikes down Tokopah Falls, up the Buena Vista Peak and of around the General Grant Tree Trail that I always enjoy doing. At night I try to do astrophotography and look for new ways to mix up the type of photos I do. 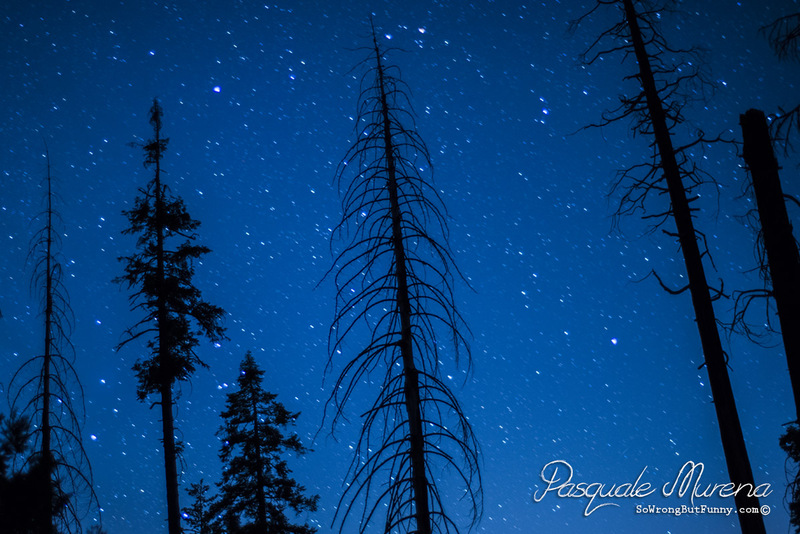 After the sun set and all that lit the sky was a crescent moon I started to take photos of the starry sky. I thought back to the year before when I was there when it was snowing and how great the snow looked as it came down around the silhouettes of the trees. Trying to photograph the snow with your camera pointing to the sky will give you a wet lens. I decided to try and make the stars look like snow coming from the heavens. The way I did this was give myself a medium F-Stop and I focused on the trees. This made the stars a little our of focus, then I left the shutter open for 1 minute to give them a mini star trail. Below is the final effect I got, next time I get the chance I will try it again. It would be nice to have snow on the trees and then try the same effect on the stars. 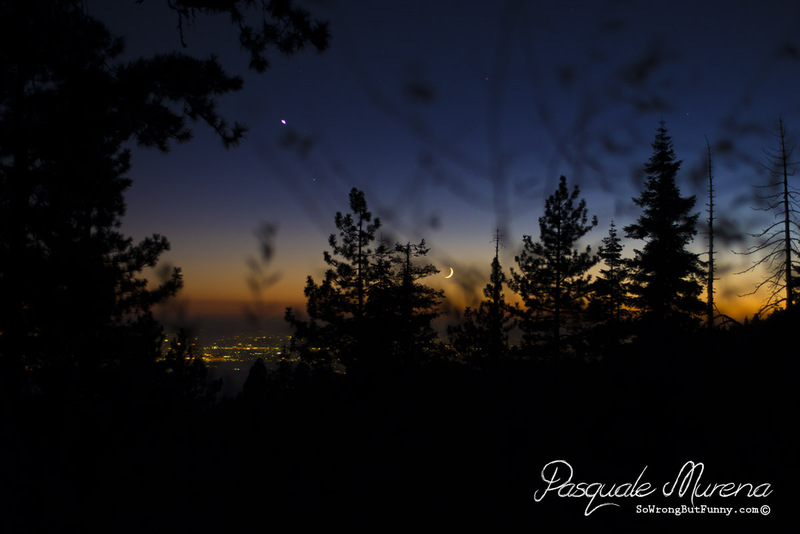 Photography by Pasquale Murena; Astrophotography, Night Photography & Wildlife & Nature.